Rosh Hashanah is basically the Jewish New Year. It marks the beginning of the year because it is held on the traditional anniversary of the creation of Adam and Eve. 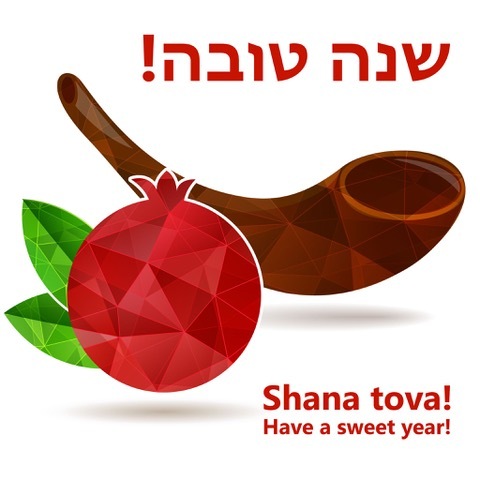 The period of the eight days between Rosh Hashanah and Yom Kippur are known as the High Holy Days in the Jewish religion. On the eighth day, Yom Kippur we atone for our sins, thus it is called the Day of Atonement. On Yom Kippur, we ask for God’s forgiveness for our transgressions during the past year, however, if we have sinned against a person, we must ask forgiveness from that individual face to face in order to be forgiven. There is also a beautiful service after the Rosh Hashanah service called Tashlich, another means of casting off our sins. This service is held at the water’s edge where we throw a piece of bread into the water to symbolically “cast away” our accumulated sins and transgressions, to send away our unworthy thoughts and purify our hearts and souls as the New Year begins. This day always reminds me of the Chapter in my book called Radio Man, where I tried to ask the Radio Man for forgiveness if he could only tell me what I had done to ask forgiveness for. I posted this Chapter on my blog called Bea-isms so just click on the link and read it yourself. You may comment below the article if you wish to do so.